4 years is a long time in the world of cryptocurrency. 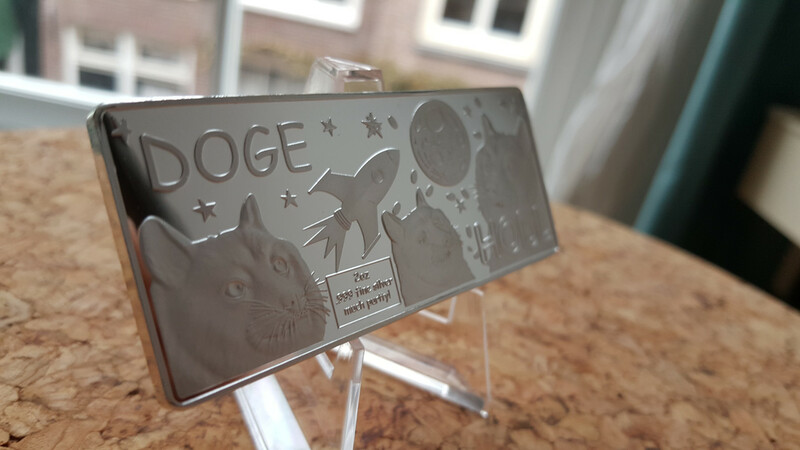 This bar celebrates the 4 years of doge's tenacity and longevity as one of the older functioning cryptos. 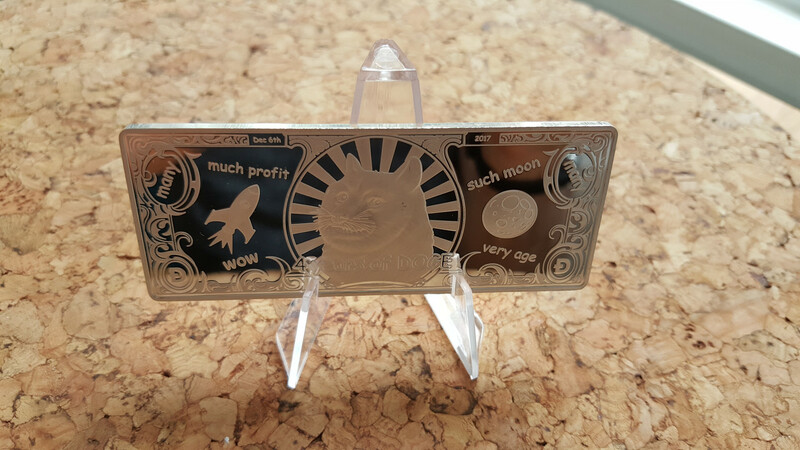 Now in 2 oz of .999 fine silver. Unique backside with hallmark... much purity! So reflective, it was quite hard to photograph! 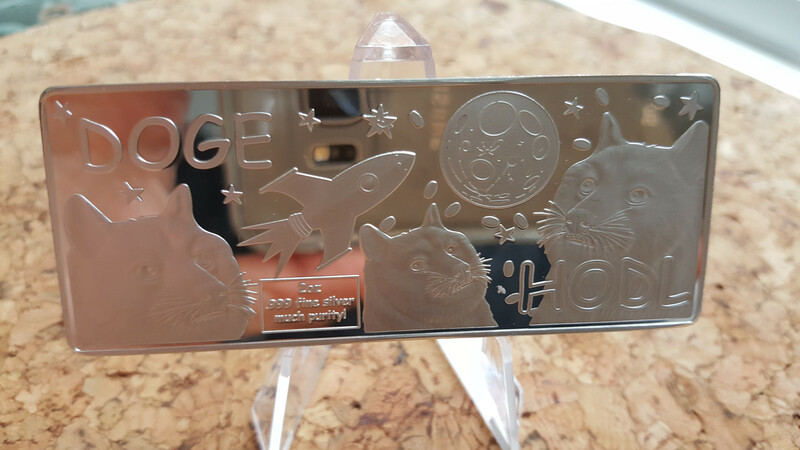 Originally a passion project of bigtimespaghetti, the bar celebrates the hodlers, the traders, the OGs and the mooners in a unique and fun bar. 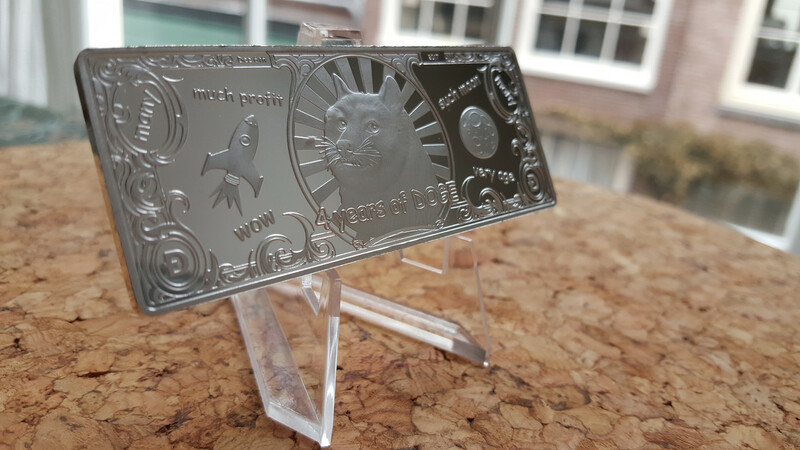 The pure silver follows the mirror plated brass bars (silver, copper, gold) and has a slight modification to the backside with a hallmark indicating the weight and purity. These bars are limited to only 50. Struck in February of 2018. .999 fine silver, weight: 2 oz.